In a fit of domestic-ness, I went to the cutting garden (that’s right – I have a cutting garden. And a gardener. 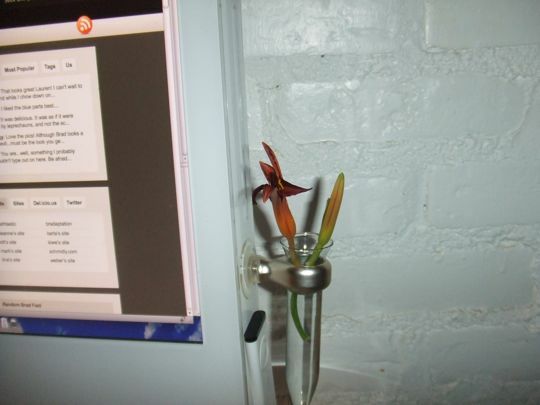 I live in the lap of luxury, people) and cut one of those orange flowers to put in my bud vase. It was so pretty – so vibrant – so… orange-y. Lauren: What the heck is wrong with this flower? 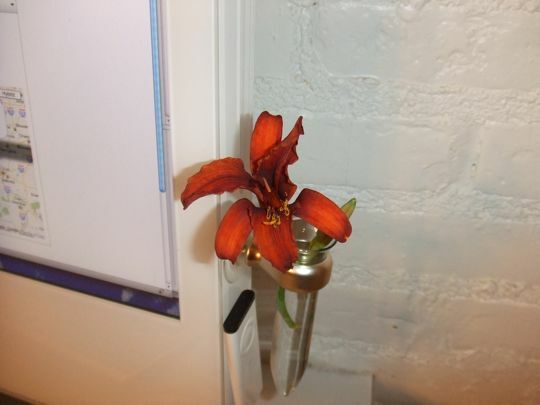 Brad: Well, it’s called a day lily. From now on I am going to refer to myself as a day lily. Nice and colorful during the day, all tucked in for sleeping at night. I like flowers that sleep. It proves that all living things need rest. BTW -- how on earth did I get to be the first response???? Is everyone else sleeping???? I wouldn’t have known either Lauren. I’m still not sure I get it. Did it open again the next day? Or did cutting it ruin that. Why do these things have to be so complicated???? Daylily flowers bloom for a day, then die. You might miss the blooms except for the sheer number of flowers they produce during their bloom season. It’s quite amazing. A single clump can produce hundreds of flowers. Still, it DID look lovely in the cute little vase. Go cut another! Fortunately, the bloom just under the dead one looks like it might perk up tomorrow. They should call them ‘give me a couple of days’ lilies.